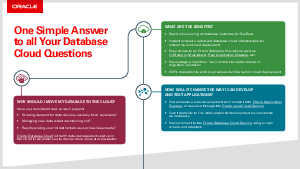 Why should I move my database to the cloud? • Growing demand for data delivery securely from anywhere? • Managing new data whilst maintaining old? • Rapidly scaling your infrastructure as your business needs? the cloud to empower you to deliver more value at scale, faster.